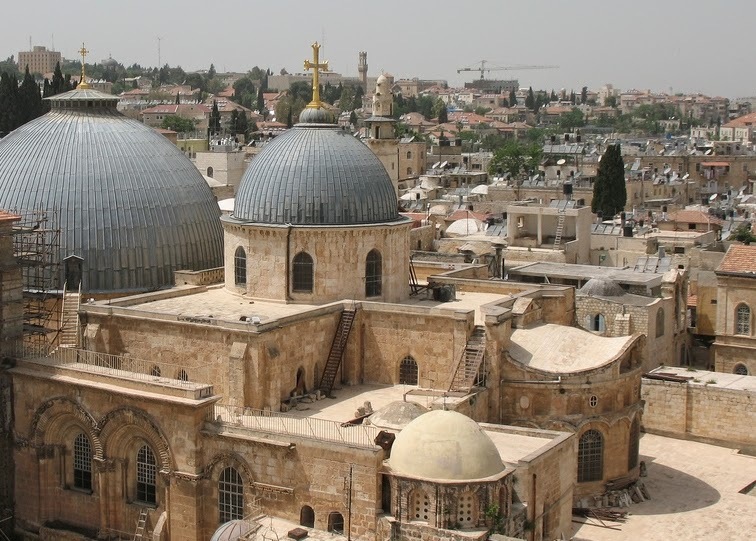 HONEY AND HEMLOCK: Herman Melville's "The Sepulchre"
While in Jerusalem, Melville would visit the Church of the Holy Sepulchre "almost every day" and observe with disappointment that it was a church under occupation of Muslims who scorned Christians and desecrated the holy place. Melville's description in his journal of the accretion and ruin of the Church of the Holy Sepulchre provides some explanation for his ambivalence about giving himself over to its shrines, grottoes, and chapels as do the pilgrims he observes. The Sepulchre is characterized by an accretion of ornament and decay that both explains Melville's separation from the original material of the site of Christ's resurrection and calls into question the reliability of the church as a marker of the particular ground of Christ's passion. Melville describes the Sepulchre as "richly sculpted;" it reflects a "garish stream of light;" it is "ineloquent" and "bedizened." 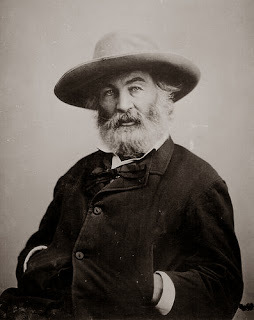 So overwrought is the tomb that Melville considers it a "show-box," and he concludes, "All is glitter and nothing is gold." It is "A sickening cheat." And touched him in profounder nerve"
than his Protestant preference for unadorned worship spaces (1.5.64-68). The cause of Clarel's doubt at the Church of the Holy Sepulchre is not merely a matter of taste; rather, the real stimulus is that he, like Melville, is separated from the original site of the foundation of Christianity. Shared all of man except the sin and mirth. Omnivorous, and a world of maze. Abram to bless with rites divine. Like steps in Indian forest deep. And Calvary's seen as through one's tears. Lone locked within the Tomb itself. And places of the Passion's moan. The vesture was divided here. With power to give pause or subdue. Or aught that may approach thereto. Faith childlike and the tried humanity. Is this Cairo's bazar And concourse? None mean irreverence, though free. Like orphans in the playground walled. The subtile Eld can slight avenge. Plague strike the wearer. Ah, retreat! Heaven's dews drop tears upon the Tomb. They watch and ward the urn they won. And fears for more that may befall. "Art gone? is't o'er? and crucified?"